What is eco-tourism? We see and hear the words often but what does it really mean? As defined by The International Ecotourism Society; “responsible travel to natural areas that conserves the environment and improves the well-being of local people”. When searching for eco-friendly lodges or eco-tours in Panama you should not have to look far, Panama is a nature lover’s paradise. Panama has 16 national parks and more than 50 other protected forest reserves or wildlife refuges throughout the country, accounting for more than 30% of Panama’s total land area. 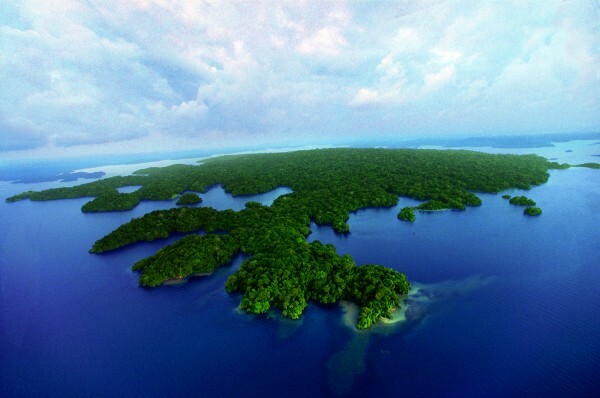 When thinking of eco-tourism in Panama the first place that comes to my mind is Barro Colorado Island. Barro Colorado Island is a 3,855 acre (1,560 hectare) island located in the middle of the Panama Canal and Lake Gatun that was set aside as a nature reserve in 1923 by the United States government. Together with 5 adjacent peninsulas, they form the Barro Colorado Nature Monument and cover more than 13,800 acres (5,600 hectares), the oldest protected area in all of Latin America. The Barro Colorado Nature Monument is administered by the Smithsonian Tropical Research Institute since 1946 and is by far one of the most intensely researched tropical rainforests in the world, receiving between 250 and 300 scientists every year. The Smithsonian Tropical Research Institute in Panama is the only bureau of the 23 Smithsonian Institutions that is located outside of the United States. Barro Colorado island is home to over 120 different species of mammals, nearly half of which are bats, 5 different monkeys all native to Panama, thousands of insect species and over 1,200 different plant species. In April 2009 researchers captured a photo of the elusive jaguar on the island using an infrared automatic camera, even though jaguars had occasionally been seen, this was the first a jaguar had been photographed on the island. Day tours can be arranged by contacting the Smithsonian Tropical Research Institute directly or by contacting a local tour agency. The second place I think of in regards to eco-tourism and social responsibility is the Panamanian owned Canopy Family. Since 1999 Raul Arias has been providing eco-adventures and eco-lodges in Panama that practice every aspect of eco-tourism. The Canopy Family consists of the Canopy Adventure and Canopy Lodge in El Valle, the Canopy Tower in Soberania National Park, the Canopy B&B located in Gamboa and most recently the Canopy Camp located approximately 1 hour past Yaviza in the Darien Province. The Canopy Family is the leader of eco-friendly lodges and tourism in Panama. They conserve water and electricity; recycle, re-use and revitalize otherwise discarded materials, and even re-use waste water from showers for the surrounding gardens. The Canopy Tower was previously an abandoned military radar structure before being revived into a beautiful eco-friendly lodge. Not only does the Canopy Family lead by example, but they also encourage other companies to follow in their footsteps by creating awareness and by investing in smaller companies who share the same views and goals when it comes to conserving and protecting the abundant natural resources in Panama.